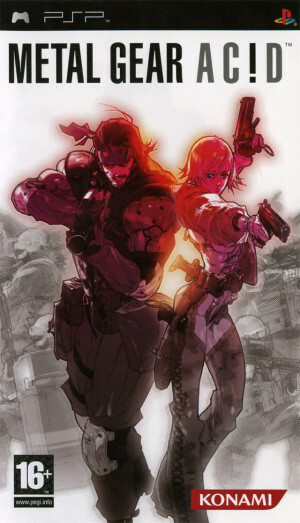 Metal Gear Acid on PSP is a tactical infiltration game that is played in turn-based strategy. For this, you have cards acting as actions to perform during your turn. More than 200 cards are there, with decks specific to MGS1, MGS2 and MGS3. The story begins in 2016: an aircraft has been hacked by an unidentified terrorist threat that injected a deadly gas into the ventilation system. Take on the role of Snake and do all the truth about this case.